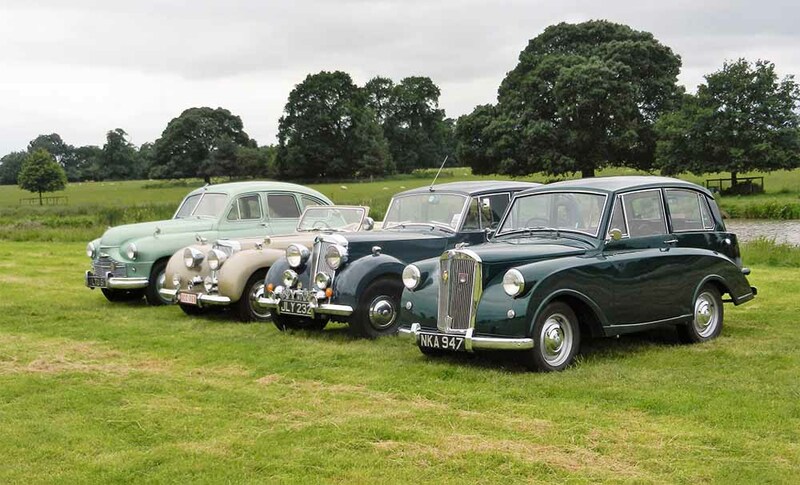 Right to left are: Mayflower (Paul’s), Renown, Roadster, Standard Vanguard Phase I.
Dear fellow Triumph enthusiasts – a report and just the one photo both appear in the space previously allotted by the editor in the current Triumph World covering our clubs’ joint annual rally last month at Claydon Hall. I sent a number of photos of cars on the rally field etc. and the lineups by the lake showing the contrasting models produced by Triumph and Standard at the time. Very diplomatically – and being scrupulously fair to all the clubs participating – the editor has chosen a posed lineup picture, with Paul’s Mayflower prominent. I also sent a report to The Automobile at the same time, but there is nothing in the current issue and so I do not expect to get any coverage from this source, but if I’m wrong, I will let you know.